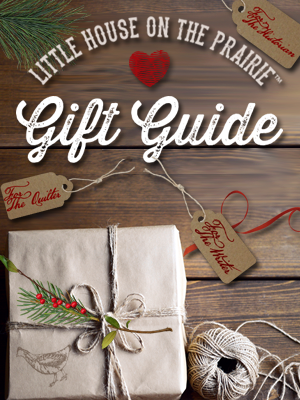 This holiday season we are partnering with Cotton Babies, the leading supplier of cloth diapers, to bring the spirit of Little House on the Prairie to the littlest ones in your family. 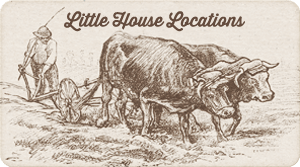 In honor of Laura Ingalls Wilder’s 150th birthday, Cotton Babies has launched the Little House in the Big Woods™ Collection, an exclusive set of 3 prints capturing the spirit of Laura Ingalls Wilder. The trio of prints is available in all bumGenius™ and Flip™ styles and accessories. 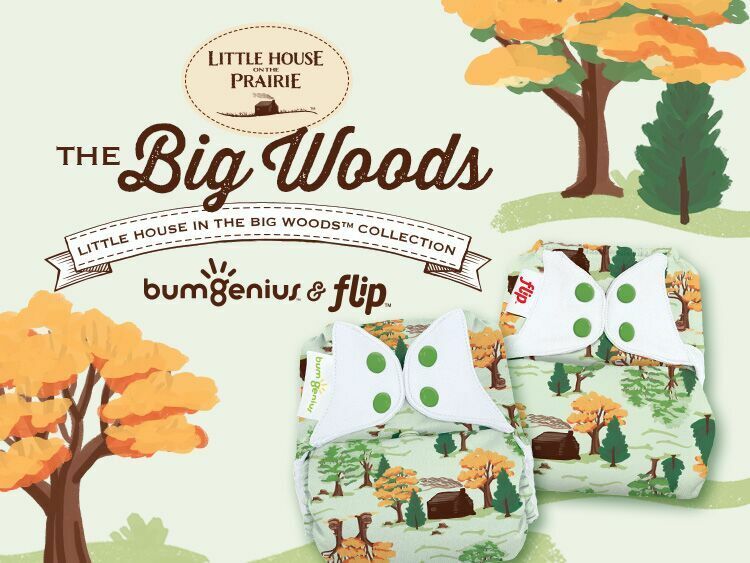 The Little House in the Big Woods Collection features the Ingalls family cabin, surrounded by evergreen and maple trees in every direction. 2. 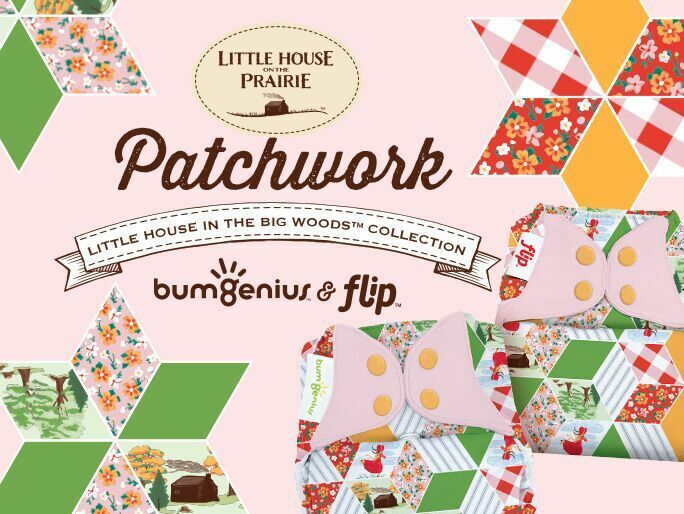 The Patchwork Collection is an 1870s-era star quilt pattern that mimics the patchwork quilts that Laura made with her sister, Mary. 3. 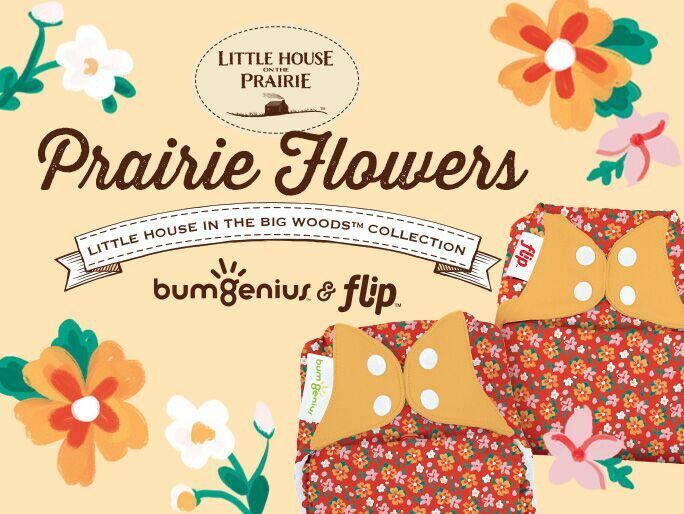 The Prairie Flowers Collection includes pink and orange prairie flowers scattered across a red calico inspired by young Laura’s iconic dress and bonnet. 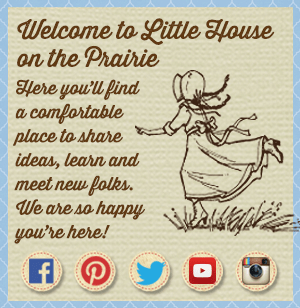 To learn more about cloth diapers and to get your own Little House on the Prairie diapers, visit CottonBabies.com. This new collection will also be available at select independent retailers throughout the country. We will have 5 lucky winners for this exclusive giveaway! We are so pleased to be giving away 5 sets of cloth diapers from the Little House in the Big Woods Collection – one set of each of the 5 styles available through Cotton Babies. 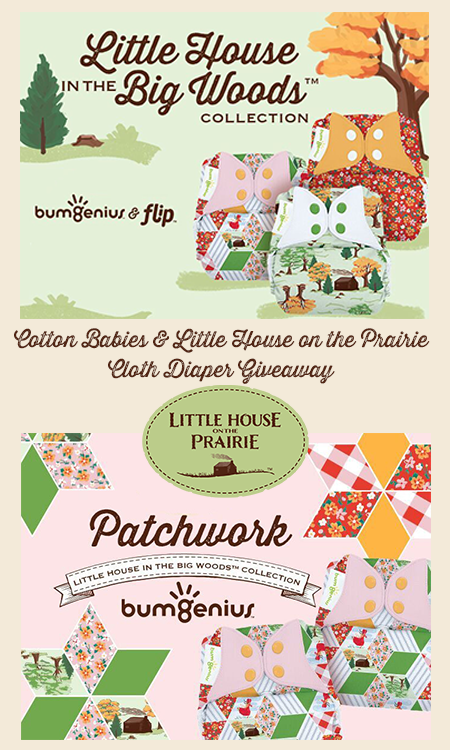 Prize packs are as follows one 3-pack of bumGenius Freetime (in Big Woods, Patchwork, and Prairie Flowers), one 3-pack bumGenius Elemental (in Big Woods, Patchwork, and Prairie Flowers), one 3-pack of bumGenius Original (in Big Woods, Patchwork, and Prairie Flowers), one 3-pack of bumGenius Littles (in Big Woods, Patchwork, and Prairie Flowers), and one 3-pack of Flip Hybrid Covers (in Big Woods, Patchwork, and Prairie Flowers). Use your Facebook account or name and email, so that your entries count. Giveaway is open to U.S. residents, 18 years of age and older. Please log into the Rafflecopter giveaway widget below. The first entry is the newsletter sign up – confirm your subscription to unlock the other, optional entry methods. The giveaway will run from November 20 to 30, 2017. Winners will be contacted via email once their entry authenticity is confirmed. We will feature an exclusive live chat with the founder and CEO of Cotton Babies on our Facebook page soon, so be sure to follow our Facebook Page to be informed about the chat! 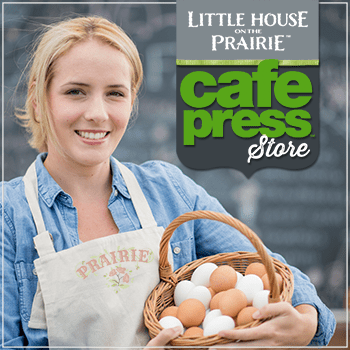 Very interesting products from LITTLE HOUSE PRAIRIE SERIES. Hey I’m confused is this how I enter the contest? Near the end of the post is a widget – a box – created by Rafflecopter. If you’re on a mobile device it says “tap here to enter the giveaway” and brings you to the giveaway widget. If you’re on a computer or laptop it shows right in the article. 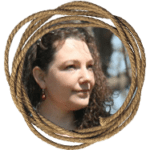 You will need to log into that widget with your name and email, or Facebook profile as the directions state and then follow the directions for each entry method. 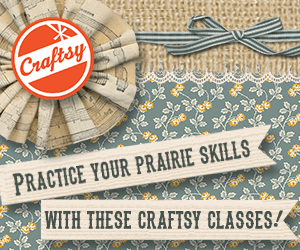 The required entry is the newsletter subscription while the rest are optional entry methods. Have the winners been chosen yet? They have and all winners have been emailed. We are waiting to confirm shipping addresses.